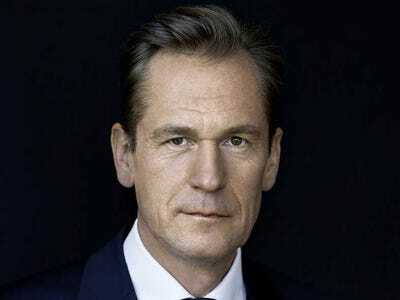 Mathias DöpfnerMathias Döpfner, the chairman and CEO of Axel Springer, will be speaking at IGNITION. Business Insider’s flagship conference, IGNITION, is in its seventh year running, bringing you conversations with the best and brightest minds in digital. This year we’ve lined up an amazing list of speakers that includes founders of buzzy startups like Airbnb, WeWork, Vevo, and Pottermore, as well as CEOs from major corporations like 21st Century Fox, Adobe Systems Inc., AT&T, Time Warner Inc., and MasterCard. Plus we’ve got demos, unicorns, and group of New York City teenagers dishing about their real-world media consumption habits — a session you will talk about for a long time. Ann Lewnes, EVP and CMO, Adobe Systems Inc.
Don’t miss your opportunity to get insight into their many successes and experiences, and learn what’s next for the changing digital landscape. IGNITION takes place December 5-7 at the Time Warner Center in New York City — get your tickets now before they sell out!